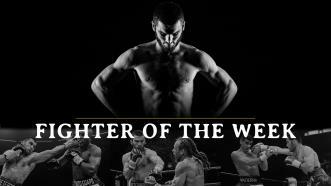 Fighter Of The Week: IBF Light Heavyweight World Champion Artur Beterbiev returns to the ring Saturday, October 6, when he faces Callum Johnson at Wintrust Arena in Chicago. 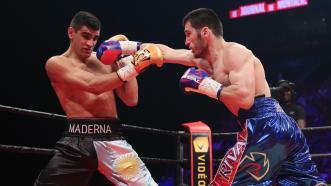 Artur Beterbiev was dominant in his return from shoulder surgery and gained a fourth-round TKO of Ezequiel Maderna. 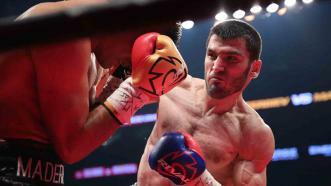 The Russian 175-pound contender floored Maderna twice in the third round, and followed up with two more in the following frame to gain a fourth-round TKO. 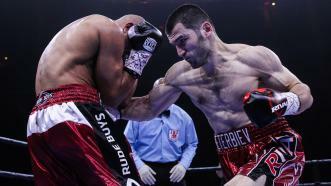 Artur Beterbiev returns to the ring in his first fight since June 12, 2015 after soldier surgery. We take a look back at his PBC debut from April 4, 2015 where he KO'd Blake Campillo. 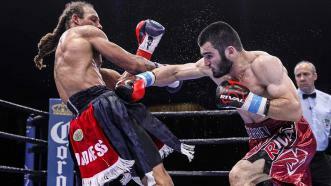 Russian knockout artist Artur Beterbiev kept his perfect record intact against veteran southpaw Alexander Johnson with a seventh-round TKO. Erislandy Lara and Delvin Rodriguez face off Friday, June 12, 2015 on Spike, while Artur Beterbiev looks to maintain his perfect KO record as he fights Alexander Johnson.